These beautiful golden tiger's eye gemstone cabochons have domed tops and flat backs. 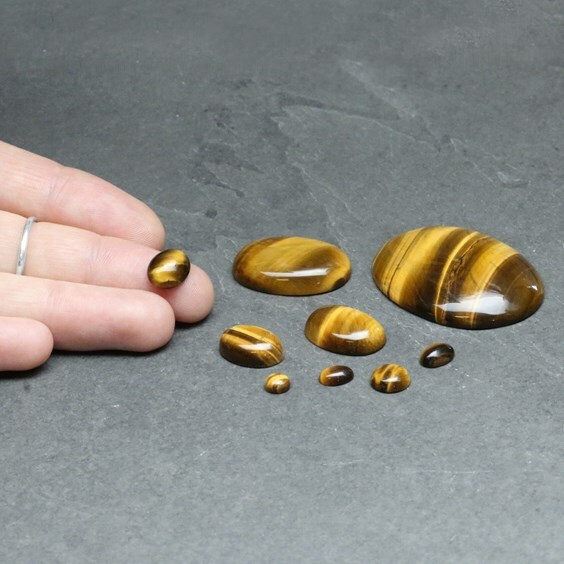 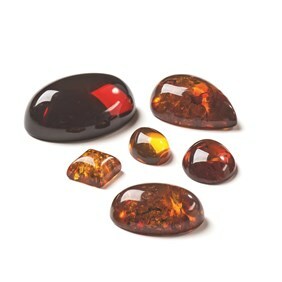 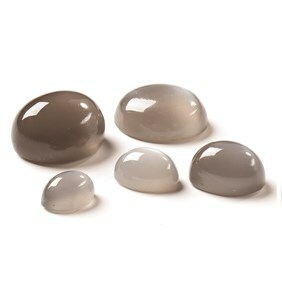 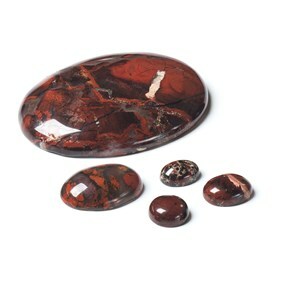 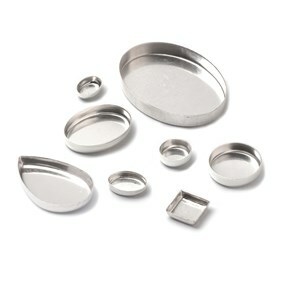 These chatoyant stones come in lovely honey and brown tones. 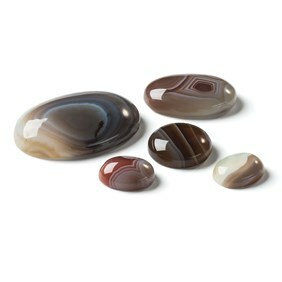 The cat's eye effect is striking and unique in each stone. 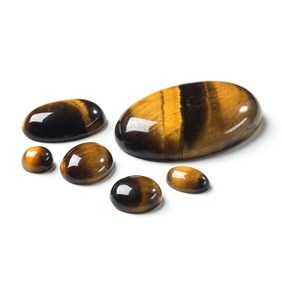 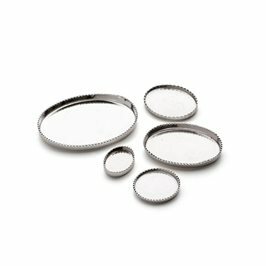 It has a hardness of 7 on the Mohs scale.